Point Perk is growing! In late 2019, we will begin to renovate and expand our 'coffee shop with a mission' thanks to a grant from the Hatton Foundation. 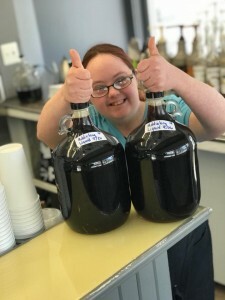 The expansion will allow The Point/Arc of Northern Kentucky and Greater Cincinnati to continue our mission of creating more employment opportunities for individuals with I/DD, and finding new ways for all members of our community to gather together, fostering inclusion and a sense of community. Learn more about the expansion and the mission of Point Perk in this story from WEKU.